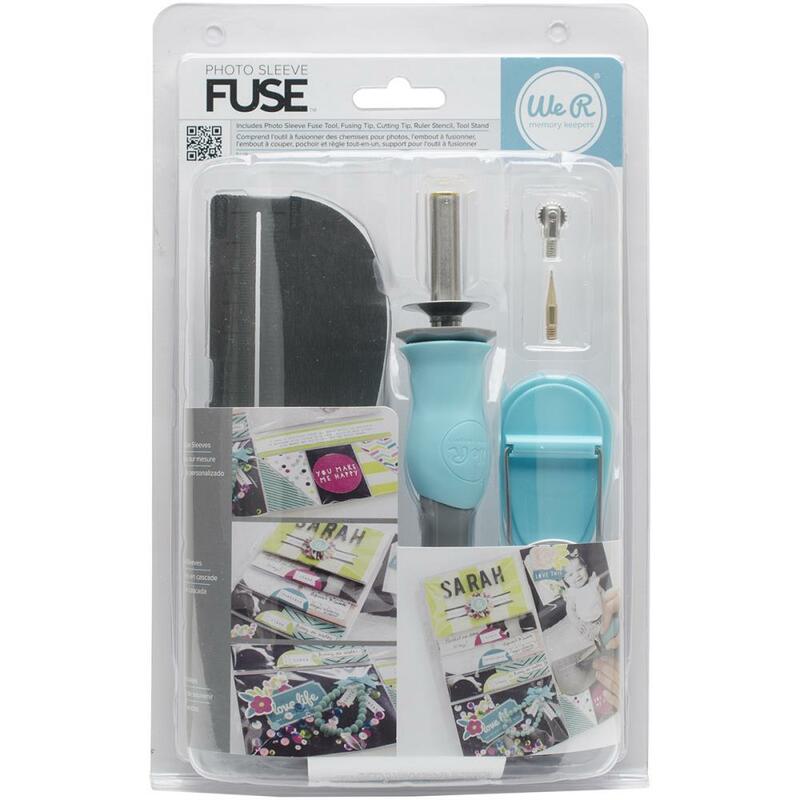 We R Memory Keepers-Photo Sleeve Fuse Tool. Create custom pockets and sleeves. The welding tip creates a strong, clean, micro-weld seam that will not tear or separate. The cutting tip allows a slit to be cut in the sleeve. Use to seal in keepsakes and memorabilia. Create waterfall photo sleeves. 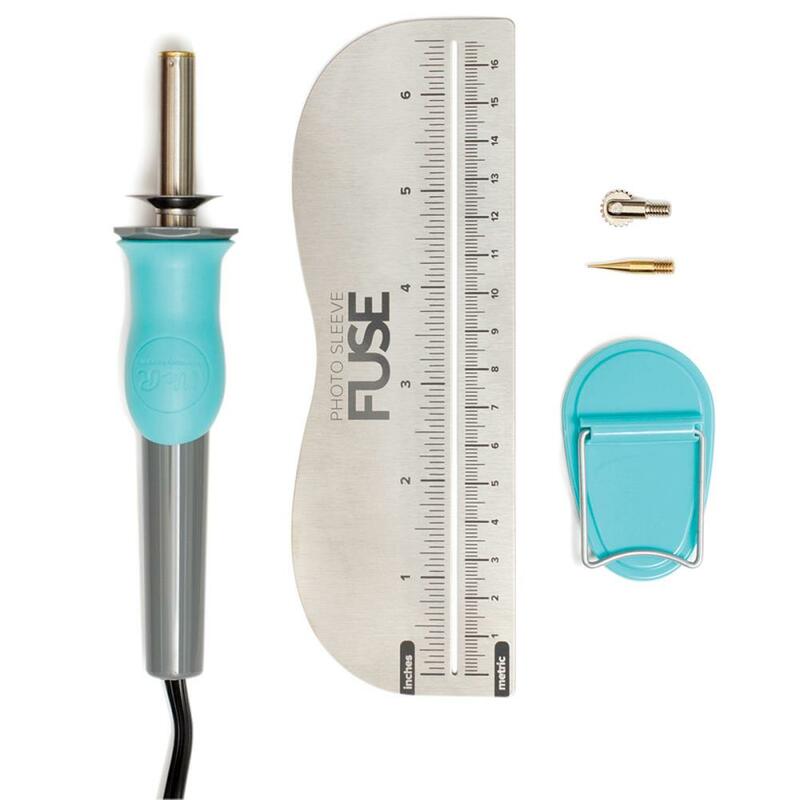 This 10-1/2x6-1/2x2-1/2 inch package contains one tool with a UL listed cord, one fusing tip, one cutting tip, one 6-1/2 inch long ruler stencil and one tool stand. WARNING: This product contains chemicals known to the State of California to cause cancer, birth defects or other reproductive harm: Do not mouth or chew. Acid and PVC free. Archival quality. Imported. These tips are also available here.